The Cassowary Coast Food Trail commences at Babinda (just south of Cairns) and continues south through to the township of Innisfail, down through Tully and out to Mission Beach. It also takes in the Cane Cutters Way around the South Johnstone and beautiful Mena Creek area. Cutting over to the Palmerston Highway where the new Ma-Mu Canopy Rainforest Walk is a must stop on this picturesque route up the escarpment to the Mountain Tablelands Food Trail. Stop off for crocodile, emu, camel, kangaroo, ostrich, buffalo, Australian native bushfoods and lots of other local delicacies. Eat in or Takeaway. Oliveri’s an extensive range of delicacies from Australia and aboard with approx 60 cheeses as well as prosciutto, salamis, real ham off the bone, and our delicious marinated olives. We have a multitude of shelf lines including pastas, continental biscuits, legumes, first class dried fruits and nuts, pickles, and delicate lines for the home chef. Oliveri’s also stocks local produce. 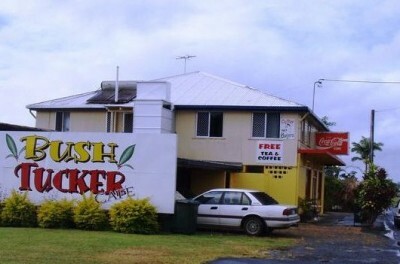 A great little café in the heart of Innisfail service fabulous local produce. 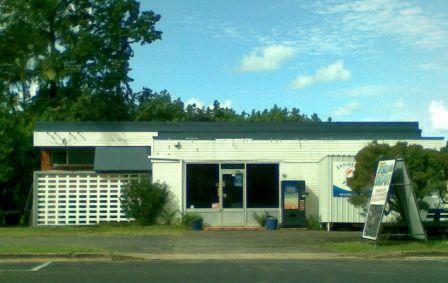 For the freshest seafood in Innisfail, stop off at the Innisfail Fish Depot for great tropical seafood. Experience a country pub atmosphere with icy cold beer and where meals are lovingly cooked using quality local produce. Enjoy the mosaic art featured amenities. The excellence of a German butcher from the wine country in South Australia, specialising in Salami’s, Quality Hams & Bacon & many other smallgoods lines. Quirky Cafe for Coffee,Gourmet foods and local produce luncheon meals, surrounded by interesting pieces of art, jewellery, books & artifacts, that you will just want to purchase. Stop off at Stevos forfFresh bananas and papaws straight from the farm. 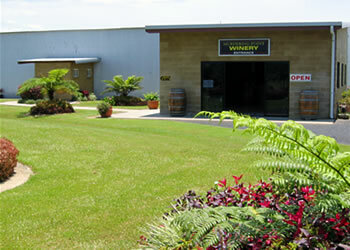 A 1930’s built, Spanish inspired, heritage listed award winning tourist attraction. Café menu offers local tea, coffee, exotic fruit smoothies, home made scones with tropical jams etc. Local produce and fruit for sale. Not only does Marianne serve stunning lunches, morning & afternoon teas using tropical food in the most delightful way, she is very creative in the production of food products you can buy at her little cafe. Beautifully packaged Ooray (Davidson Plum) paste, jelly and syrup, Zinga relish of pineapple, mango and golden chilli, Ginger cordial and Passionfruit syrup, Jungle Teas of Ooray and ginger, and other exotics. Ice-creams that are pure and tropical. Mary is renowned for her world famous ravioli. She also makes a range of gourmet and fresh pasta’s combining flavours from Europe, Asia and the Australian bush. Take some home for dinner. Pick up your gourmet lettuces and herbs and tropical fruit just on the outskirts of Mission Beach. View the magnificent ‘Nucifora Tea’ plantation from the roadside stall atop the hill on the Palmerston Hwy between the Tablelands and the Great Green Way. Purchase a sample the top quality Australian ‘pure’ tea.